From your import of raw goods to the distribution of finished product, KelTrans is your all-in-one solution provider for all of your freight needs. 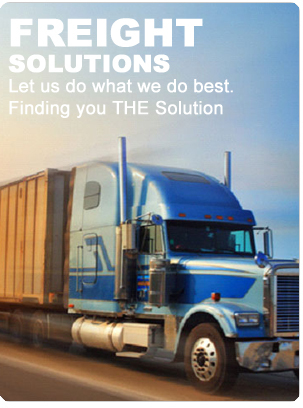 We analyze each shipment on a case by case basis to provide you with all options, not just the easiest or quickest. Our extensive carrier network allows us to ensure we pair the right solution with the right provider for each and every shipment. Whether you need expedited team shipments, partial truckloads, or lift gate requirements, KelTrans will provide THE solution for each and every shipment. As a non-asset based provider, we work with each client one-on-one to develop THE solution which best fits their specific needs. Through our extensive pre-qualified carrier network, KelTrans will find the best carrier match for your shipment based on service level, availability, expertise and reliability. Each of KelTrans' carriers are pre-qualified using metrics such as on-time pickup/deliveries, communication and safety. From a vital envelope to a dedicated cargo-only flight, KelTrans offers THE solution for your expedited shipments. With KelTrans' wide range of Air Freight and Hot Shot service solutions, we can offer THE solution that will meet your time-line, budget and any special handling requirements. Each shipment decision must balance various considerations such as service, cost, timing, load specifications to determine THE solution. Rail plus truck Solutions are available to our customers looking for cost savings opportunities, an environmentally friendly solution or specific load specification requirements such as heavy weight and density. Complete service coverage through-out the U.S. Call and talk to a KelTrans representative today about our additional specialized solutions.